Hat-tricks from Rhona Lloyd and Megan Gaffney helped Edinburgh clinch the Women’s BUCS Championship after a convincing 48-5 victory over Northumbria. Before kick-off, there was a minute’s applause inside Twickenham to celebrate the life of Cardiff Metropolitan University student and Welsh international Elli Norkett, who sadly lost her life in a car accident last month. First-half tries from Katie Dougan and Gaffney put Edinburgh in control of this final before they ran riot in the second period. Gaffney and Lloyd sealed their hat-tricks, with Amy Walter also getting in on the act to complete the rout in Edinburgh's first final appearance for 19 years. Northumbria’s only score came at the end of the second period through No.8 Joanna Brown. It took just nine minutes for Edinburgh to open the scoring as Dougan barged her way over from close range before fellow Scotland international Gaffney finished off a move which began with an excellent break from Nicola Howat. Northumbria then seemed to click into gear but despite all their territory and dominance of possession, last year’s finalists just weren’t clinical enough when it mattered most. Edinburgh stood firm in defence whilst forcing the north-east side into mistakes and that allowed the Scottish outfit to carry a 10-0 lead into the break. 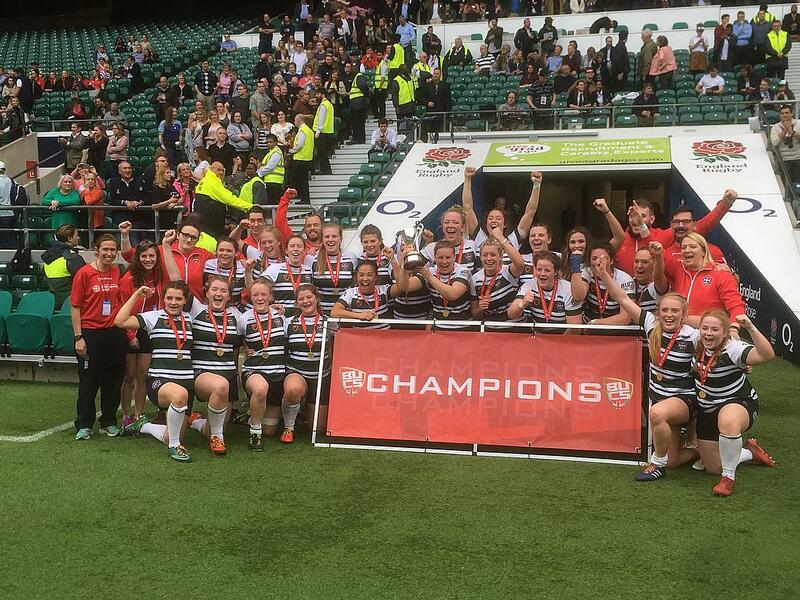 The newly crowned Premier North champions went straight on the offensive after the interval with Lloyd crossing for her first try of the afternoon before grabbing her second four minutes later following a superb break from full-back Elizabeth Musgrove. Just after the hour, Gaffney powered her way past the Northumbria defence, using her lightening quick pace to score her second. Edinburgh were rampant and continued their relentless streak as Walter dotted down before Lloyd wrapped up her hat-trick to give the black and whites a 43-0 lead with 10 minutes still to play. Having seen her fellow international teammate cross for her third try, Gaffney decided to claim her hat-trick as the player of the match surged over for Edinburgh’s eighth score of the day. Northumbria did end this final on a positive note as Brown darted over with a minute left on the clock, but this was a dominant performance by Edinburgh who have now secured the league and cup double. Northumbria: Warrington; Butler, Cutt, Taylor, Maclaine; Illingworth, Morrell; Sandham (capt), Wells, Churm; Storer, Cockburn, Ellison; Wolf, Brown. Replacements: A Scott, Lakey, Jackson, Cooke, Potter, Mattinson, Towndrow. Edinburgh: Musgove; Guy, Gaffney, Thomson, Llloyd; Walter, Law (capt); Youngs, Kurtz, Dougan; McMaster, Rhody; S Scott, Howat, Winter. Replacements: Dunbar, Parker-Smith, Lee, Martin, Scullion, Holmes, Maguire. Tries: Dougan, Gaffney (3), Lloyd (3), Walter. 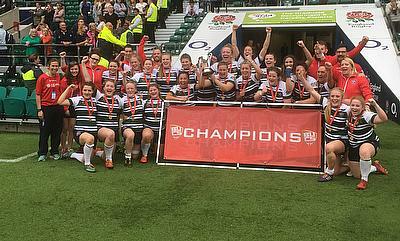 Stay tuned next week for our exclusive video highlights and interviews from finals day in partnership with BUCS.